This massive compilation of all Carrion Crown-plug-ins clocks in at 256 pages, 1 page front cover, 2 pages editorial/SRD, 1 page ToC, 1 page dedication/backer-list, 1 page back cover, leaving us with a massive, huge250 pages of content, so let's take a look, shall we? This book was moved up on my reviewing-queue due to me receiving a hardcover for the purpose of an honest and fair review. So, after a collection of nice introductions by the authors, we dive right into the material presented, so let's begin a short recap, shall we? The carrion crown plug-ins were not only Legendary Games' first line of products - they also, to me, remain one of the most interesting product-lines due to a variety of factors. Of course, over the inception of the line, a variety of feats, class abilities and archetypes have been provided - and, as befitting of a compilation, e.g. the feats now do sport a massive table, rendering the organization pretty simple on the GM. The details of the respective class options covered herein have all been analyzed by yours truly in my various reviews of the respective constituent files, so please consult those for the details. That being said, the Gothic Campaign Compendium's organization paradigm regarding the respective components obviously also extends to the variety of spells compiled from within the respective plug-ins. In case you do not want to look up all those individual reviews of mine, here's the tl;DR-version: While there are admittedly some feats in here that I'd consider at best flavorful and less worthwhile, the vast majority of the content provided can be deemed at least very good - and in several cases, downright excellent. Whether it's spells to create and control mutants or feats that let you exert your will over your underlings, the diversity provided is significant and, most importantly, the actual crunch, more often than not, manages to inspire - and that is, to me, the most important quality. The means by which the series originally managed to captivate me more than the sum of its parts in the respective installments would have managed, ultimately, boils down to a simple, yet genius practice: Grimoires. Know how nothing is as boring as finding a spellbook in the treasure heap? One should be excited, but isn't. To me, this has always been frustrating, especially when fiction abounds with legendary, awesome books that essentially are characters of their own - whether it's the Necronomicon, the Agrippa or Von Unaussprechlichen Kulten - every horror-fan knows the books of evil containing forbidden lore - often, at the cost of the reader's sanity and powerful and compelling enough to constitute the angles of whole campaigns, if desired. Now the Gothic Grimoire-series took exactly this concept and translated it into a formula of truly astounding grimoires that not only come with an extensive background story and a detailed appearance, but they also provide benefits and unlock unique class options and benefits characters can tap into. Let me give you an example - "On the Inverse Calculus of Unseen Refraction" would be a tome written in phantom fungus spores, with a special lens attached - containing cutting-edge alchemical studies that deal with invisibility etc., it is written in naturally invisible ink and offers means to generate invisible bombs, turn physically invisible etc. - but all at a risk, as the tragic and madness-laden history of the book suggests. Studying the books can grant access to these tricks, yes, and the grimoires are lavishly-rendered in gorgeous artworks. However, at the same time, they utilize the new mythos-descriptor, which codifies potentially madness-inducing spells and effects in concise terms and provide a nice list of suggested spells and abilities available. Alas, this does not hold true in all grimoires - indeed, while almost all grimoires do feature specific contents enumerated for your convenience, this does not hold true for e.g. the "Inverse Calculus" - here, the content reads "This encyclopedic reference contains the methods for mastering an unusual metamagic as well as six alchemist discoveries and 15 spell and extract formulae, eight of which are unique to this tome." - I do not object to a certain degree of customization, but I still maintain that properly listing the information contained herein would help using the pdf - when in the original pdf, it was clear that all content in the pdf was contained in the book, the respective class options etc. are now in the chapters containing them, thus rendering this particular grimoire slightly harder to use. Now granted, this does not render any content unusable, but it is a slight comfort detriment in my book. Personally, I also would have loved to see suggested means of esoteric destruction for all of the grimoires, but ultimately that's just me being spoiled - I absolutely love the concept and wished it had been expanded to AP-plug-in-series beyond Jade Regent, which at least got one pdf containing such awesome (non-mythos) tomes. Speaking of awesome - one should not fail to mention that the superb, strange and awesome critters introduced over the course of the plug-ins also feature herein, but in a particular interesting take, there is a special practice to be observed here - for one, the gorgeous one-page full-color artworks can be considered to be rather inspired - their layout alone on a page also means you can reproduce the artworks for the critters as handouts. Those critters that do have some rules-text on the page of their artwork can be found in the appendices - where perforated pages makes it possible to just extract the player-friendly versions of the maps provided for the modules and pregen stand-up figures. The pregens from the Gothic Heroes supplement have obviously been included and so have the modules to insert in the pdf. On a nitpicky side, I'm not 100% sure why the modules have not been organized by their levels - the lower level "Fiddler's Lament" can be found after "Feasting of Lanterngeist", a decision for which I could not find a feasible explanation. But I would be failing hard if I failed to mention the rules for both insanity and forced chirurgery/mad science - the rules-frames provided here are solid and easy to grasp and should provide a great addition to a given game that features the gothic horror tropes. Of course, the iconic items featured in Legendary Games very first supplement, the "Treasury of the Macabre", can also be found within these pages, making this pretty much a whole package deal. Editing and formatting are very good - while I noticed a minor italicization glitch and the like here and there, the level of aptitude shown here is pretty impressive, especially for a book of this size. Layout adheres to an absolutely stunning, yet easy to read two-page full-color artwork with a huge array of original full-color artworks provided. The cartography is nice and the inclusion of player-friendly maps, especially ones that can easily be extracted from the book, is awesome. Now regarding the hardcover of this book - it is stitch-bound, sports the name in elaborate letters on the spine and uses high-quality, glossy paper - this book is both beautiful and made to last and since I received it, I've been using it and carrying it around for quite a while and the book seems to take the abuse from my backpack quite well, so yes, a high-quality tome. Now take a look at the authors: Jason Nelson, Greg A. Vaughan, Clark Peterson, Neil Spicer, Clinton J. Boomer - you probably won't be surprised to hear that the content herein is high-quality and in a significant array of instances, utterly inspired. The question going through your mind right now is an obvious one - should you get this? Well, the answer is a complex one, ultimately. Personally, I am a huge fan of printed books - I print all my pdfs since my reading is simply more precise and more enjoyable for me once I have the haptic feedback of raffling through pages. Now having a gorgeous hardcover goes A LONG way for me, so if you're similarly bibliophile-inclined, then, yes, the answer is simple - this is a gorgeous book and well worth its place among all my gothic horror toolkits and supplements. The content is great as well. At the same time, should you already have all the pdfs, it really depends on whether you want to get this tome - unless, as mentioned before, you want the beautiful print. That being said, this is still a glorious compilation with just a few minor oversights and glitches that slipped through the cracks - and in the end, it is worth a final verdict of 4.5 stars, rounded up to 5 for the purpose of this platform. I took a chance on this product. I had a horror campaign coming up and wanted some tools to make it memorable. I'm not very familiar with Legendary Game's products and never felt the need for them but it was highly recommended so I picked up a hardcover. So how did I feel? Mixed. In all reality I could run a horror/gothic campaign without this but it also brings a number of tools to the table and I became more impressed with it the deeper I read. The spells and character options range from things I'll never take to things that are ultimately not that great but I'll take it because it is hilariously spooky. For the GM the rules for Grimoires, monsters, NPCs and the general advice are more than welcome. Overall this book is about fun anf bringing your fluff to life when I came in expecting a few base classes and other options. So I was a bit disappointed. However as a DM it is much more useful although chapter 6 has a lot of rules that could have been organized differently. In the end I've recommended it on multiple occasions because it does handle quite a few ideas and made my horror campaign more lively so despite feeling a bet 'meh' on my first viewing it's usefulness is undeniable so I'm giving it 4 stars. It’s been a while since I played, or even read, a Gothic-themed supplement for any kind of system. I began playing D&D with a friend in the Dragonlance campaign setting during high school, which at the time included literature classes. In them I started reading Poe, which made me wonder if there were any horror themed RPGs. To my surprise there was a complete line as part of D&D! The name is something I still remember fondly: Ravenloft. All the games I ran were in Ravenloft, which was a cool, Gothic D&D setting with a lot of rules to better represent the genre. Even after 2nd edition died and my group started playing 3rd edition, I still had some influence from my Ravenloft days. Then D&D died for me (with the advent of 4th edition) and years later it was reborn (again, for me) as Pathfinder. The first book I got a look at was about Ustalav, which had a slightly Ravenloft-esque flavor. Later I heard that there was an adventure path with Ustalav as the background and a Gothic theme. And then I read there was a company who made sourcebooks for these, well, sourcebooks, and I was intrigued. Alas, I couldn’t afford them at the time, but I was an avid reader of each and every book’s review. Finally one of my friends wanted to play an invisible man and bought an invisibility-themed sourcebook, which I read… And man, was I impressed! The flavorful names of the grimoires were only the beginning, with a lot of flavor and a great deal of crunch (for the size), I was really impressed and wished I had the money for the others. And then I read there was going to be a compilation! I bought it as soon as I had the cash (well, before that but who cares), and let me say that every single part of the book is amazing! The fluff specially is wonderful, as should be from a Gothic sourcebook. However, what I liked the most were the topics. No vampire y or werebeast x, I already read the Van Richten Guides for that (which are mostly fluff anyway and easily adaptabl to Pathfinder), so I was amazed to read about niche horror themes like cannibalism, madness, invisibility, mutations and Lovecraftian mythos. All of the fluff is accompanied by expertly crafted crunch, with lots of spells, archetypes, feats, items and monsters! However, after reading all the compendium, I am very sorry to say that not everything was to my liking. I know I just said that everything in the book was amazing, and I still do… but the way it is presented in my opinion detracts from the experience. First of all, I’m the proud owner (and reviewer) of most of the Far East sourcebook by Legendary Games, and I think they are the best electronic books I have the pleasure to own (and I have a lot), since apart from the content, the direct electronic links the e-books have are beyond awesome and, more importantly, extremely useful and time-saving. However, while the Gothic Campaign Compendium has them, it doesn’t have something a bit more simple: an e-index. While there is a very nice table of contents, it is not as useful as a fully functional sidebar index. I really hope Legendary Games adds one in the future. But this wouldn’t really be that bad if it were not for the fact that this is a compilation… The main feature of the book is its greatest flaw: every single feat, spell, archetype and magic item has been torn from the original and put under a less elegant category, like character options, spells, monsters etc. I really think it would have been better to organize different chapters by topic instead of by category. While I’m reading the feats I jump from chirurgy to mummies to cults to metamagic. The same with the archetypes, we start with an alienist summoner, then go to an apostate inquisitor and then to aqua-alchemist (the bathynaut). The flavor is all over the place! If this was a dinner, it would be as if they gathered all the main dishes (minus dessert), blended them, and served them in different plates. This doesn’t happen with the characters or the adventures, which thankfully have their own chapters. Another flaw, and believe me the last, is that there are some things that are repeated, specifically the mythos descriptor/subtype information. I think it is repeated more than twice! I find that unacceptable, maybe once under spells and once under monsters. I know I may sound harsh but believe me, it is a pain to be reading the exquisite fluff of the Omnia Mutandis grimoire only to have to jump through a lot of hoops to see the accompanying archetypes, spells etc. But after all, the Compendium includes genuinely fabulous material and superb fluff of a quality not found anywhere else in Pathfinder, not even the official material itself! I will try to get a physical copy, it will have a place of honor next to the Van Richten’s guides themselves. In conclusion, while Legendary Games material cannot really be scored with a 5 system, this particular volume, with its flawed organization, which is made worse with lack of an alleviating index, loses a normally more than well-deserved star. So 4 stars for me. Hardcover books should be delivered to Paizo next Monday and will be available as soon as they are processed by the fine folks on the warehouse team. Will you make a compendium of your Far East products too ? I believe the Kickstarter we ran also included a softcover Far East compendium. Assuming Jason has prints of that coming, as well, I'd assume there'll be one for it available at some point. Certainly, the PDF should be do-able. And, for fans of the Kingdom-Building AP, there's a compendium of those products, as well. There is a PDF Far East Compendium available on our website, but our last Kickstarter was primarily for Gothic and did not hit the stretch goals required to do a print run of the other campaign compendiums, so for now there is no print version. However, if you like print adventures we are in the process of trying to get more of ours into print. So far The Baleful Coven and Road to Destiny have been laid out for print, and once we get that pushed through the CreateSpace process we'll be ready to post those up for sale. We also have two more Far East products that have been sitting in the "I'll get back to finish that someday" pile, so we may hold off on doing a print compilation in any case until we have them all squared away and available. Whoa this sounds amazing. I don't generally use 3rd party stuff for Golarion but I will try amd pick this up. I think you'll be delighted with what you find. Hope you enjoy and let us know how well it works for you. I own a few of the gothic adventure plug ins, and they are totally worth it, Lemartes. The folks at Legendary Games don't put out mediocre products - they're all very well written and very high quality. Thanks for the kind words. We'd love to see some reviews! If my lgs can get it I'll buy it and post a review. Is this a compendium including the previous gothic plug-ins, or all-new material? I just started buying all of the individual bits, which are AWESOME. It's the individual stuff plus some new stuff, I believe. I love how it is for sale here before the kickstarter supporters receive it. It's even cheaper here with the 15% discount for subscribing to the adventure paths. I am skipping the current ks and will just wait and buy it here before the ks supporters. It's been a while since the Gothic Kickstarter, but I'm fairly certain Legendary Games never said that Kickstarter backers would necessarily get the book before it went on sale. Also, our backing the Kickstarter made this book what it is. That's what Kickstarters are about. Helping to make something happen and, once it's happened, helping it grow. You are of course free to do what you want with regard to Legendary Games's current Kickstarter, but I'm hopeful that that's something very few people will do. Because if people do skip the current Kickstarter because they didn't get Gothic Campaign Compendium before everyone else, then the current Kickstarter will suffer greatly, and that would be a shame for all fans of the mythic subsystem. As for the 15% discount, that's a discount that's unique to paizo.com AND to your subscription to the adventure path line. It's not a discount that everyone shopping in this webstore gets. It's not something Legendary Games can or should factor in when setting the price for their products. Hey, I just bought this, and it's pretty amazing. I'll probably be using it to run a Darkest Dungeons inspired game sometime in the future. However, there's this thing that's been bugging me. No content for the Magus class. I'm playing one in an evil game right now, and I sure could use some of those nifty spells, if I could only get an "official" list of which of these spells might be appropriate enough to be added to the Magus spell list. I was thinking some of those neat shape-changing spells like Aberrant Form (1 and 2) and Mythos Elemental Body, personal invisibility, self-buffs, and personal teleportation spells like Deform Angularity, Devouring Maw, Fade From Existence, or Not There, and possibly some of the more offensive stuff like Dermal Flensing or Mutagenic Mist. Jason (and the whole team) is a little busy with the current Mythic kickstarter we have going on at the moment, but it's possible he may spare a few thoughts on the subject. Something you can always keep in mind, though, is that a magus (much like a wizard or any other arcane spellcaster) can always devote time to developing "new" spells for themselves. Often, this can mean developing a magus version of a spell from another class's spell list. Of course, that always requires working with your GM anyway. So, you're going down the right path in having a conversation with them about it. Even so, I'm sure a more "official" ruling handed down by the authors of the product would satisfy even more. Hopefully, Jason can give you his take on it when he has the bandwidth for checking in here. I imagine it's also possible that a stretch goal for the Mythic kickstarter might include some of the spells from the Gothic Compendium and then he could establish at that point which of them also appear on the magus spell list as he updates them with mythic versions, as well. I don't believe such a stretch goal is currently on the list for the kickstarter, though. We're still pretty early into it, however, so maybe he can be convinced to include such a thing for you. Or, perhaps when we've got the kickstarter behind us, he can go back and update the PDF for the Gothic Compendium with a magus spell list. I'm sure he'll give it some thought either way. Oh hey, thanks for the quick response. Doesn't have to be right now, and I understand work hours aren't free, so I contributed 30 dollas to the Kickstarter at the Legendary Mage level, in case these revised, Mythic version-able Magus-compatible spells end up being there. And as always, keep up the good work! It's funny, throughout those Gothic plug-ins I was careful to include lots of content for the APG caster classes - alchemist, inquisitor, oracle, summoner, witch - but somewhere along the line I just forgot about the magus! I'll go through at some point and post an official erratum about what classes should be magus-able in this thread, and if we include Legendary Spells in the Mythic Spell Compendium (and you'd better believe that's a stretch goal down the road), we'll include a note in that book as well. If you're talking about the 15% discount from the Pathfinder Adventure Paths, you only get that on Paizo products. Legendary Games products are not Paizo products. I just received my hardcover for the kickstarter for this earlier this week and have finally got enough spare time to skim over it this weekend. I would just like to say that so far I like what I have seen from it. The Gothic Compendium will be made mythic if enough people back! Are any other KS backers living in the U.S. still waiting on their hardback copy to arrive? I am just wondering because it has been 9 business days (13 days total) since the update was sent out saying that domestic shipping to Kickstarter backers was complete. I am chomping at the bit to get a look at the final product and just figured that I would ask here first before pestering the undoubtedly busy folks at Legendary Games about it. Bought it tonight and adore what I've read so far! Are there are any plans to add bookmarks to the pdf? I have had a few books returned by the post office for various reasons, so it's possible that one of those was yours. I just got one back yesterday, so I should be able to send it back out on Monday. Email your name and address to makeyourgamelegendary at gmail dot com and I'll see if that's you and also make sure the address we have is correct. I'd hate to think yours is lost in the mail. If we can't account for it I'll just send you another one; if the original shows up, share it with a friend and spread the good news of Legendary Games! It's on our to-do list, and we'll see if we can get to it in and around our ongoing product schedule. That's OK, Jason. I posted here a few days before I contacted you about it. I got my books and art print safe and sound Wednesday of this last week. I meant to post here again letting everyone know that I had received everything but I simply forgot. Thanks again! I have just received this, and am loving what I have seen on my flip through so far. But the Summoner archetype refers to a template named "alien". I can't find this in the monster section. Have I failed my Perception check, or is it missing? The alien template is, in fact, missing. Despite numerous editing passes, that one slipped through the cracks. If you already have a copy of Beyond the Void, the template is included there. If you don't, email me at makeyourgamelegendary@gmail.com and I'll be happy to forward you a link for a free copy. Does this product contain all of the other Legendary Games products from the Gothic line? Woohoo! Happy reading and hope you enjoy it! I'm thinking on buying this book as a PDF but would like it to be complete. That means adding the alien template. Are you going to errata the pdf? By the way I bought all the Far East content and am really happy with my purchases, but I'm waiting for MORE! Any news on that side? I'll have to check with layout and see if there's room in the final layout to fit the alien template into the text. If not, I think we'll just post it up as a free download. As for Far East product, YES, there is more stuff yet to come, one of which will hopefully be ready in time for next month. The rest of it... probably December or more likely January. It'll be nice to get that content buttoned up and out the door! Excellent news! I bought the pdf already. I'm reading it and will post a review in a couple of days. It will be a review of the compilation from someone who hadn't bought any of the products contained, and with a "career" at DM 2nd ed. Ravenloft, before the magic items were "necessary". Sounds great. I look forward to seeing it! Sadly I finished Reading and reviewing it, and it left a sour taste in my mouth having to review it the way I had, but I think my complaints are valid. Thanks for the review. Glad you enjoyed all of the great content, but alas that you found the organization lacking. I'm sure it will not surprise you to know that all of the content in the compendium WAS organized thematically in its original PDFs. Things on mutation in the Mutant Manifesto, macabre bardic masterpieces in The Necrotic Verses, creepy constructs in the Construct Codex, and on down the list. We did consider the idea of just bundling all of the PDFs together, but if we were going to do that we could have just sold the PDFs as a bundle. I talked to some of the Paizo folks about putting together a book and got some advice on organizing things in a hardback, and after consideration we decided to not just compile the PDFs separately but instead to take all the elements and put them into their sections for ease of organization. If you're looking for feats, you look in the feats section; spells with the other spells, magic items together, monsters, etc. We figured that would be the easiest way to find the things you're looking for in a book, especially if you come to it not knowing the individual PDFs from before. I agree that flavor does suffer when you move from a thematic focus (like the individual PDFs) to a content focus (like a hardback rulebook), but that's perhaps a tough nut to crack when you have an overarching flavor concept (horror in Pathfinder gaming) but with a lot of smaller elements within it (mythos horror, madness, mad scientists, cults, etc.). Then again, no one would accuse the Advanced Player's Guide of being a flavor-focused book, but it tells you where to find the stuff you want. So TL;DR - glad you love all the content, though it sounds like you'd have enjoyed it a lot more as presented in the original PDFs than in one omnibus volume. P.S. Glad to hear you enjoyed the Far East products as well. Rest assured you'll be seeing more of those soon! Thread necromancy! (fitting for the tome). I was preparing an adventure that included the grimoire of invisibility. It says what's in it, but the name of the alchemist discoveries, as well as the spells, aren't mentioned! This doesn't happen with most of the other grimoires, and to be honest I didn't check all. Would it be possible if you could give it a look and check on the grimoires spells and content? This is one of my favorite books, but it's a pain to use without an index. Is it possible to update it with internal links? 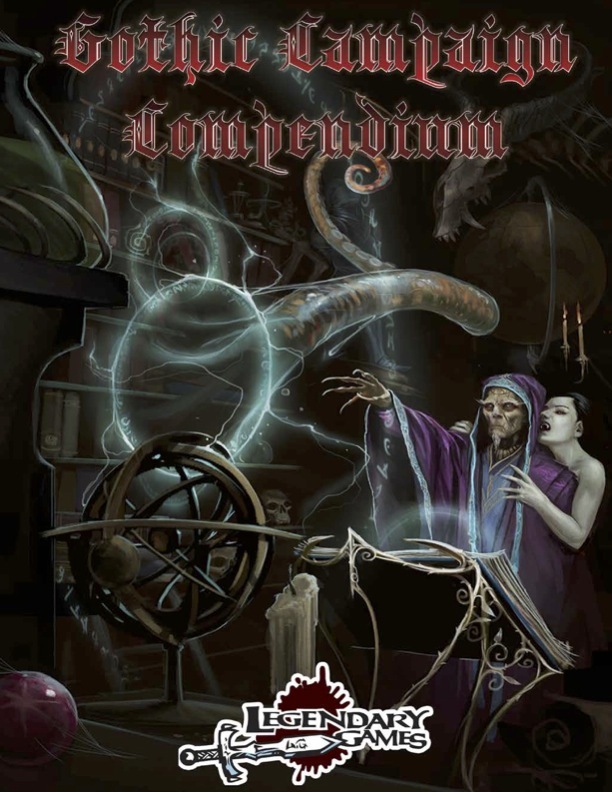 This encyclopedic reference contains the methods for mastering an unusual metamagic as well as six alchemist discoveries and 15 spell and extract formulae, eight of which are unique to this tome. so 15 spells? I suppose it includes some spells from the core. Which ones? Thanks for the quick replay! Formulae: This book contains a number of unique alchemical formulae, which are also transcribed in the form of sorcerer/wizard spells where applicable. It includes the following spells and formulae: alchemical inscrutability*, alchemical opacity*, alchemical sequestration*, asynchronous invisibility*, greater invisibility, invisibility, invisibility sphere, invisibility well*, mass invisibility, not there*, see invisibility, sequester, simple transparency*, vanish, vitrific visibility*. * New formula described in the book. Funny it's been over a year and I totally forgot about this thread. I read the description at the top and thought "Wow that sounds awesome!" Then I read down and saw my post from a year ago. Just a note for a future update, Jason. "A search of the fountain..."
Then there is the next section, titled "The Madman's Camp"
In the Compendium, version, however, those four paragraphs are missing and it jumps from the "Developments" paragraph straight to "The Madman's Camp". Those paragraphs actually contain a decent chunk of the adventure's crunch, including the motivation for the next step. I'm not overly bothered by it because I bought the original adventure when it first came out, but it's probably something that should be fixed if you release an "updated" copy.